Getaway on Gordon - In the heart of the beachside suburb of Glenelg. 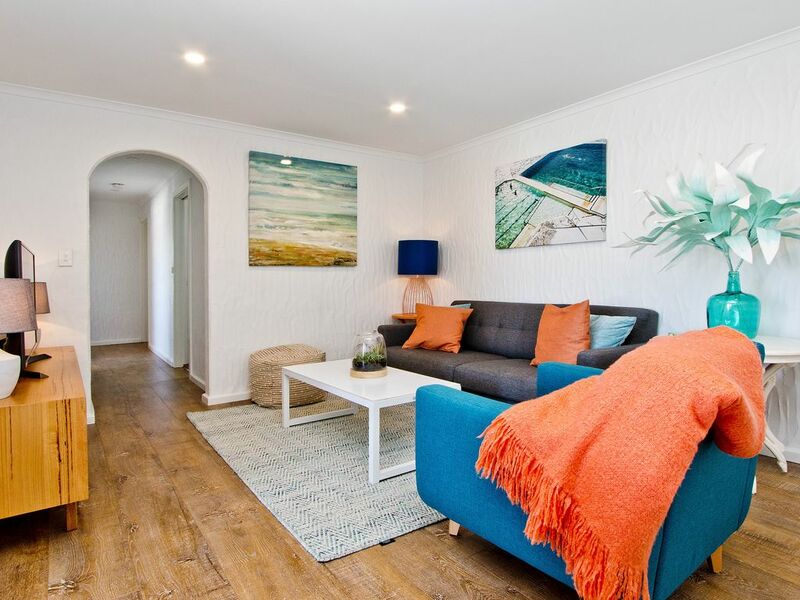 This comfortable property is located just steps from Jetty Road and beautiful Glenelg beach, the renovated 3-bedroom apartment offers all you need for a comfortable, relaxing or fast paced holiday. Glenelg is one of Adelaide's most vibrant suburbs and has something for everyone. The unique shopping precinct offers world class retail shopping and there is an array of cosmopolitan cafes, restaurants and bars right on your doorstep. The apartment is self-contained with a fully equipped kitchen, spacious lounge room and separate dining for 6 with small balcony. Featuring modern fixtures and fittings along with quality linen provided. The apartment offers 3 bedrooms with robes, 1 with Double and the other 2 with Kings that can convert to singles if required. Modern spacious bathroom with shower, vanity and toilet. Laundry is a shared coin operated laundry on the ground floor. Getaway on Gordon is ideal for short or long-term stays, holidays, family or corporate bookings. Extended bookings are very welcome and discounted rates will be offered. The apartment is privately owned and operated offering guests a clean and comfortable home away from home. The tram is a very short walk and this will allow easy access into Adelaide city. There are many great reasons to stay in Glenelg and this property sets you right in the heart of the fun. Glenelg is the perfect base to explore all of the wonderful attractions that South Australia has to offer.
" Westfield Marion Shopping, bus ride or short drive.
" Harbour Town Factory outlets 5kms.
" Easy drive to the wonderful Southern Vales or Barossa wine region.
" Close proximity to 2 international golf courses. Basic consumables provided for initial stay. Not replenished. Lovely little place, beautiful kitchen, bathroom and bedrooms. Clean and very welcoming. Jo made it easy from start to finish. The apartment was clean and tidy and ready to go on arrival. It was a great base for our stay in Adelaide. Good location and comfortable unit. Fabulous accommodation, perfect location 50m to Jetty Road. Stylish apartment with modern decor and everything you need. Beds extremely comfortable with superb linen. Booking effortless. Fabulous cafe a few doors down for Brekkie. Netflix wasn’t working at time of stay and guests need to realise they need to lift luggage up three flights of stairs. Glad you enjoyed your stay Lisa, Glenelg is a great fun place to stay and the location of the apartment is fantastic. Im hearing you re stairs, I climb them all the time. Such a shame no lift but the old buildings just dont have them. Keeps you fit! !